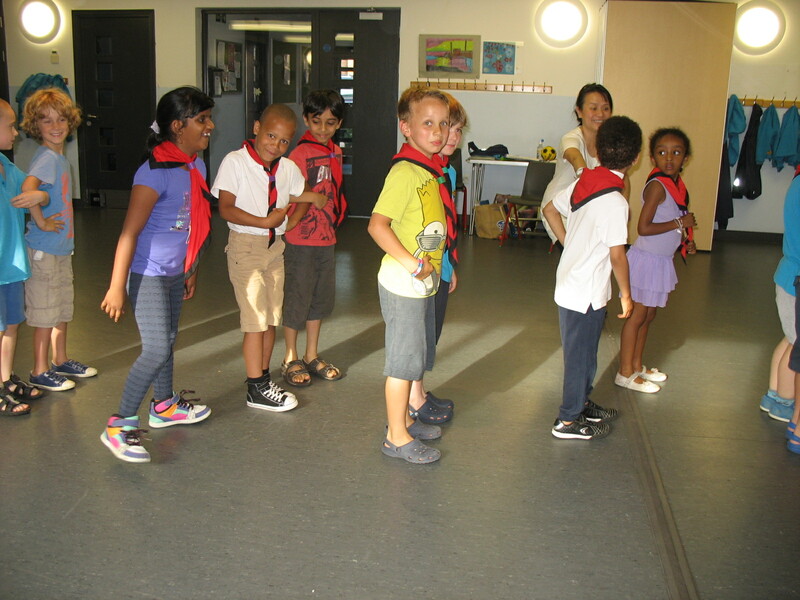 This week the Beavers had their end of term party and so the evening was devoted to fun, games and food – a winning combination! 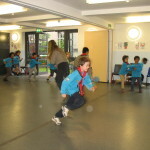 It may have been the hottest day of the year but that didn’t stop the Beavers running around energetically for the whole evening. 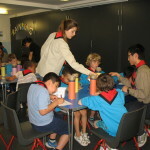 This is the last meeting to be held at Trinity Church. 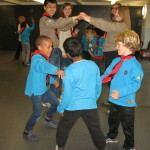 At present we are unsure where we will be meeting after the summer, but we will stay in touch with you over the holiday and let you know the venue and start date as soon as we can. 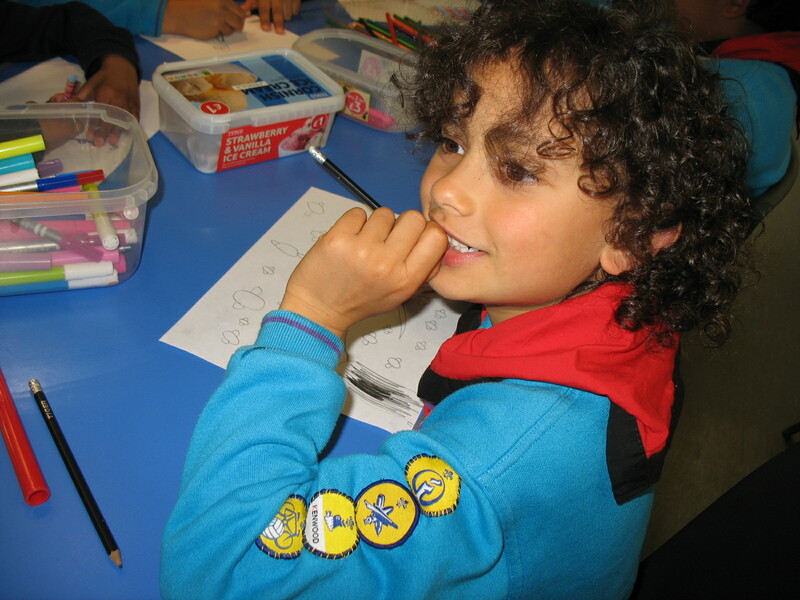 In the meantime don’t forget that Beaver day camp is on Saturday 30th August and we look forward to seeing those Beavers who have signed up. 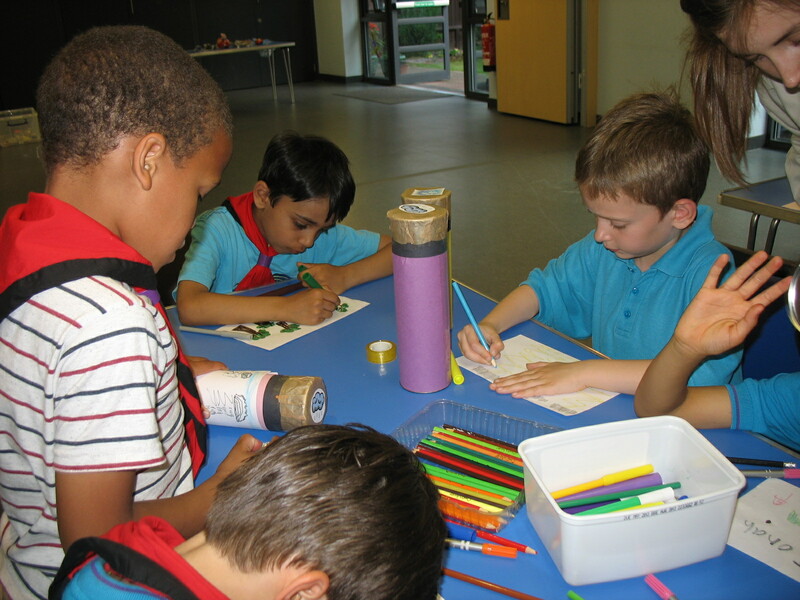 This week the Beavers had planned to take a trip to the park, but unfortunately the wet weather earlier in the day meant that we couldn’t. 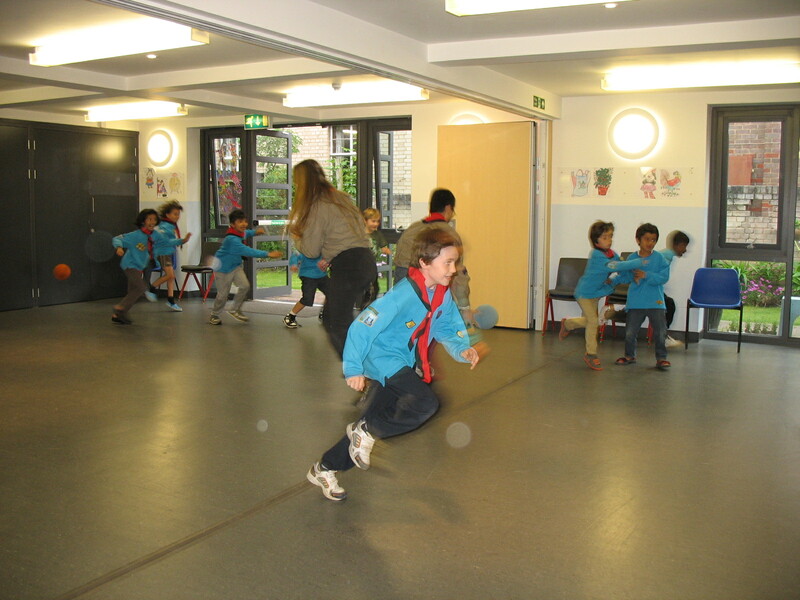 Not to be put off though, we played a variety of old-fashioned games in the hall instead. 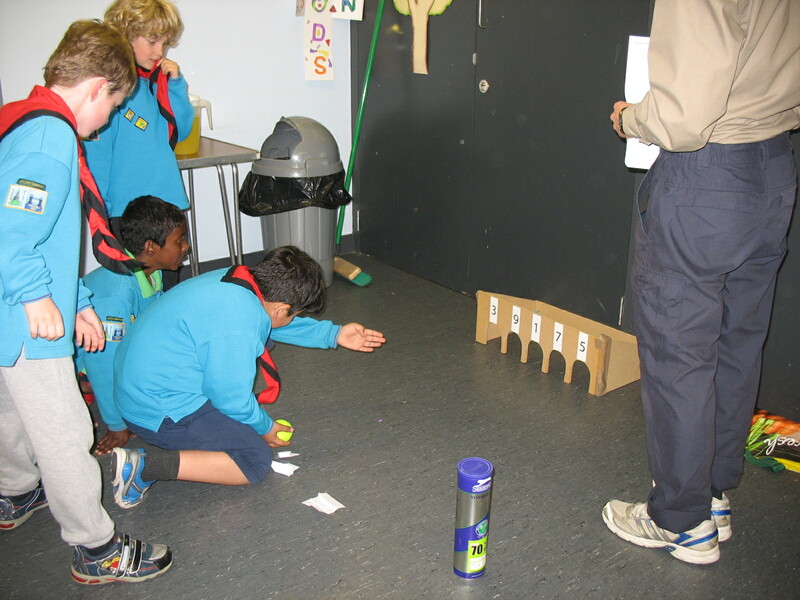 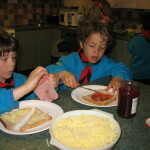 A quick reminder that next week’s meeting will be the last one of term – any Beavers still wishing to come to Summer Camp on Saturday 30th August must bring their forms in next Friday! 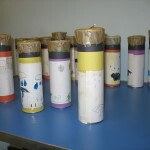 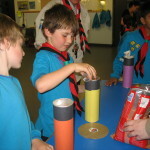 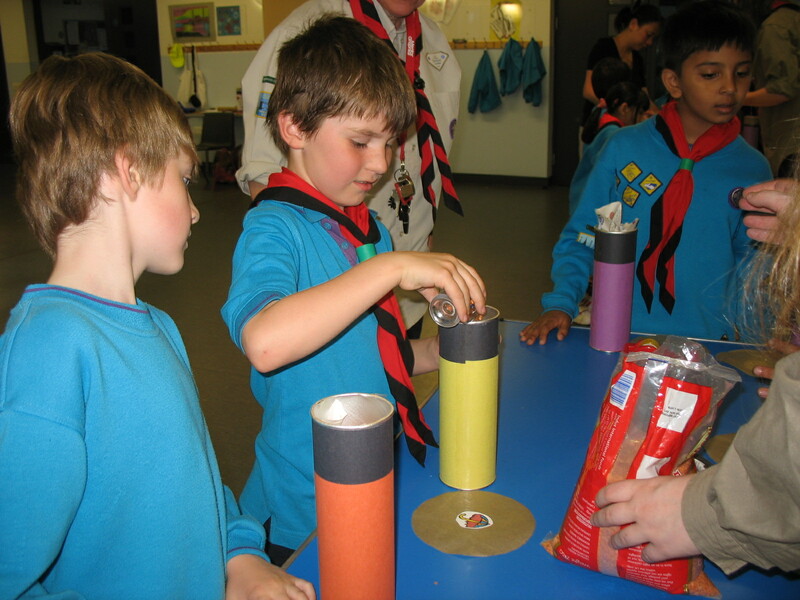 This week the Beavers continued work on the Global Challenge by making Rainshakers from Pringle tubes, newspaper and lentils. 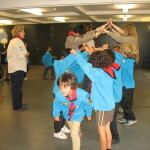 Then they played a few games of Snowballs, a very strange choice on such a warm evening! 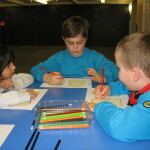 The meeting was very special for three of our newest Beavers who were enrolled this evening. 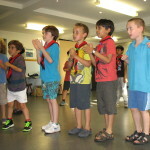 Caleb, Lewis and Nishanth all formally joined our Colony and we hope that they will enjoy the next two years with us. 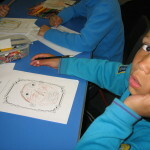 Friday 20 June – 13th/21st annual celebration evening in the Cub hall at 7pm, all welcome. 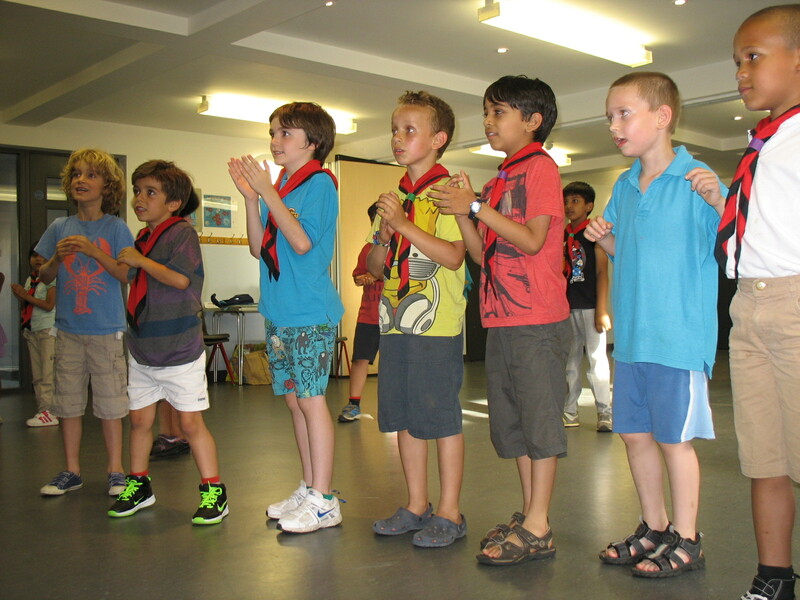 (Beavers to assemble at 6.30pm in the Beaver hall for a quick rehearsal). 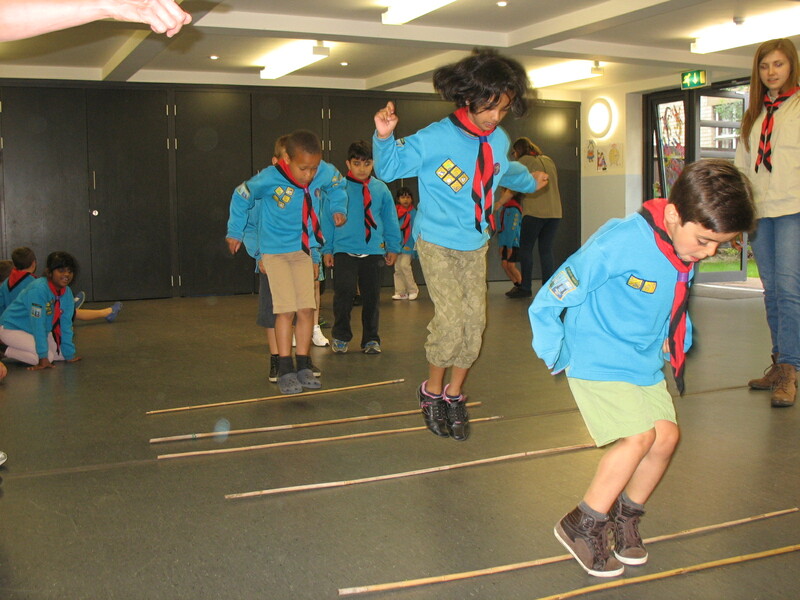 Sunday 22 June – Church Parade at St John’s Church, Harrow – details to follow. 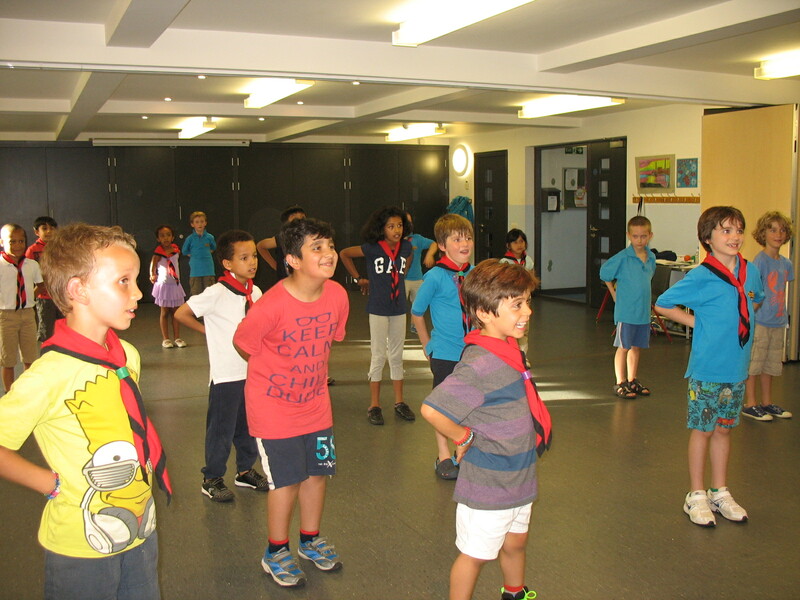 Friday 18 July – last Beaver meeting of term. 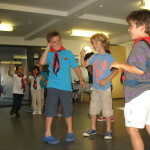 Saturday 30 August – Beaver Summer Day Camp at Well End – please complete the form and bring payment by Friday 4 July. 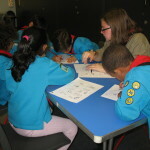 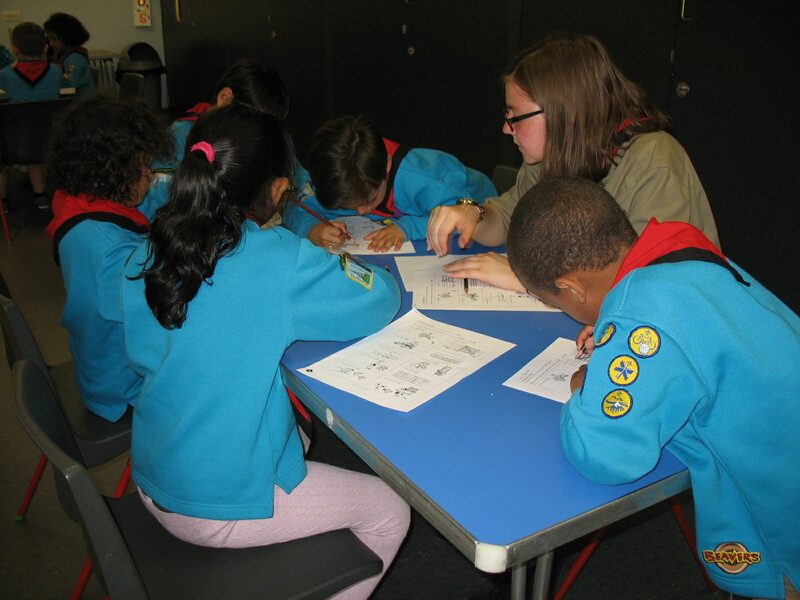 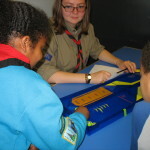 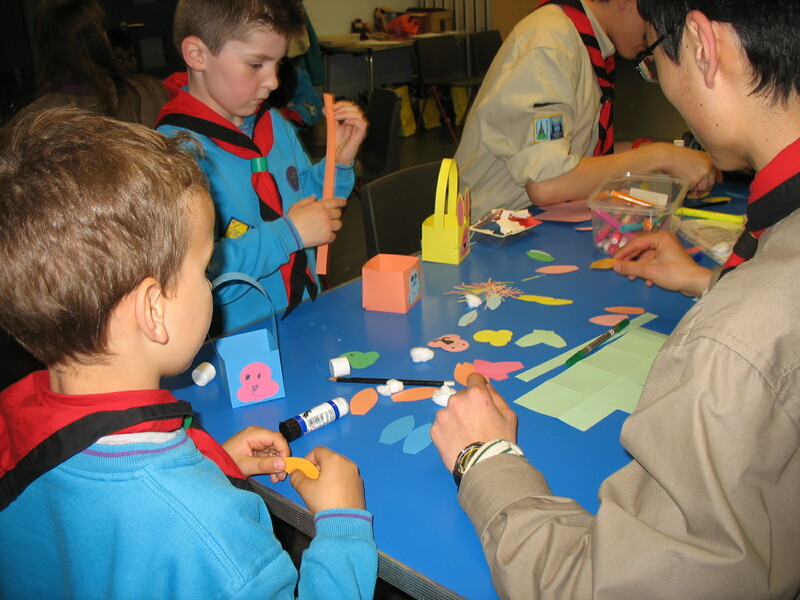 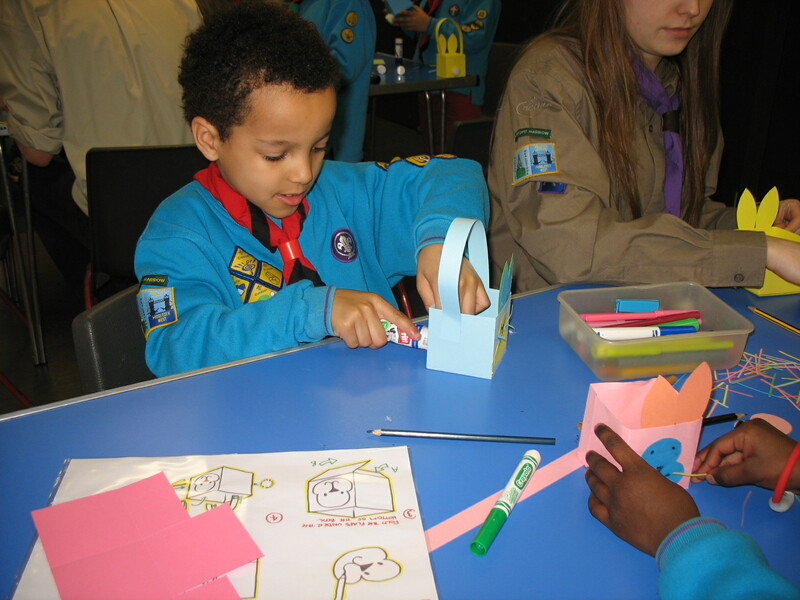 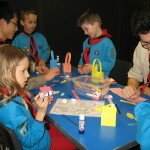 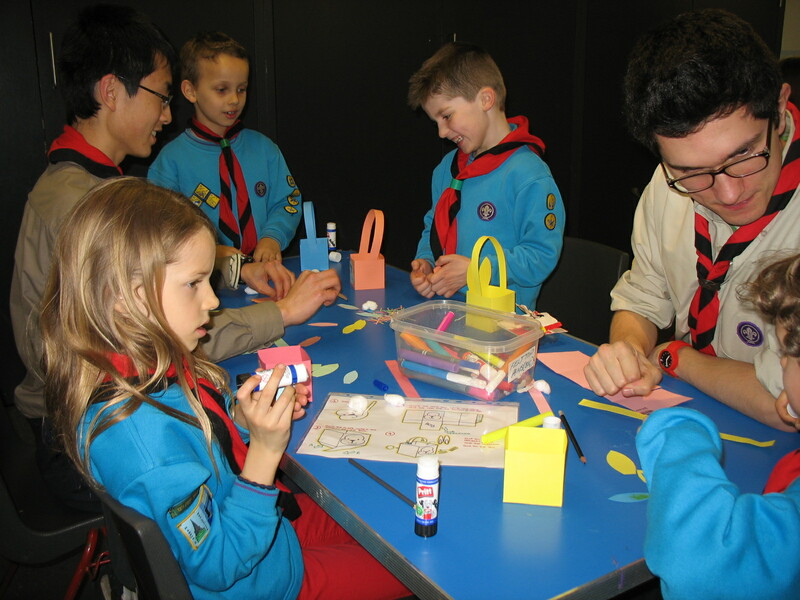 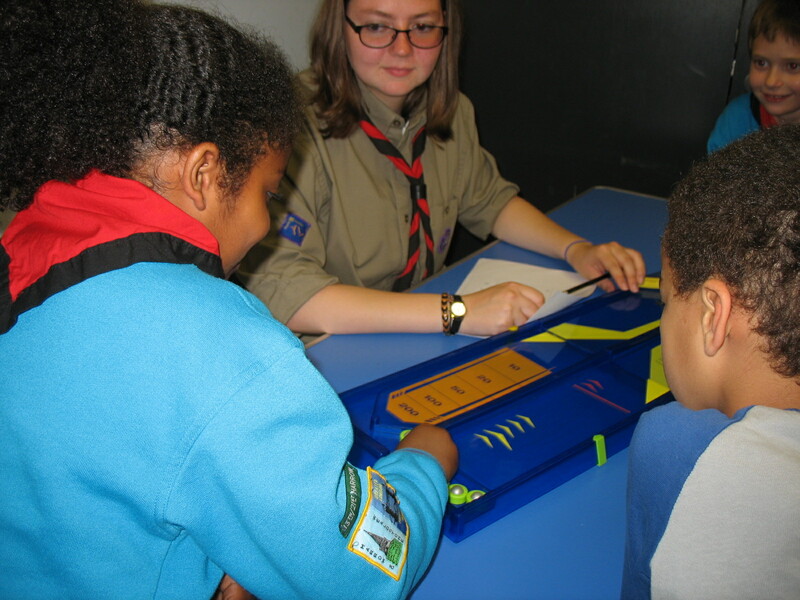 This week the Beavers started work on a new badge, the Global Challenge. 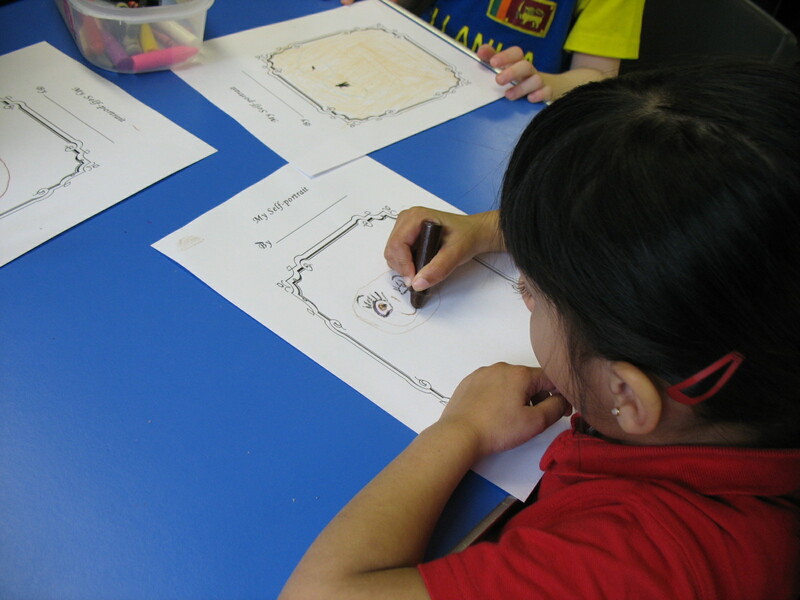 They began by discussing why we have rules and giving some examples, before looking at the Country Code. 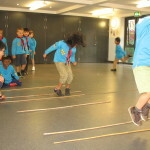 After refreshments outside the evening was rounded off by playing an Australian game called Sticks. 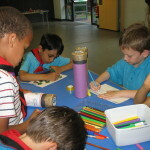 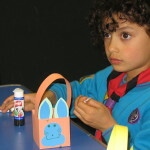 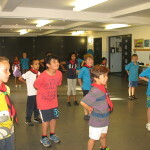 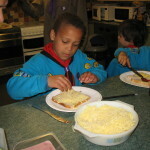 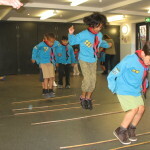 Saturday 30 August – Beaver Summer Day Camp at Well End – details to follow. 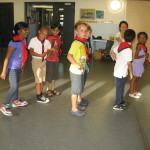 This week the Beavers continued working towards their Imagination badge by learning a song with actions. 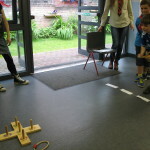 They all worked extremely hard and we hope that parents will be able to see the finished results in a few weeks time at the AGM. 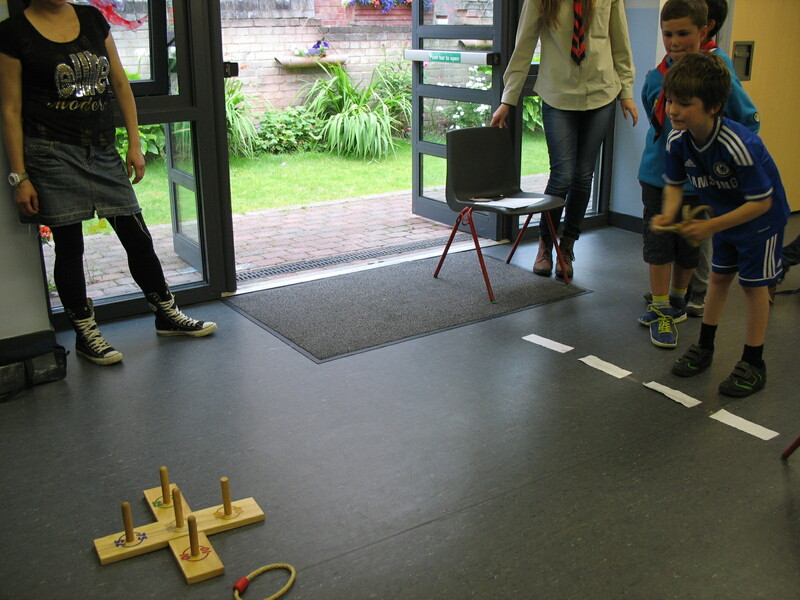 The rest of the evening was spent playing games including mousetrap and our old favourite, dodgeball. 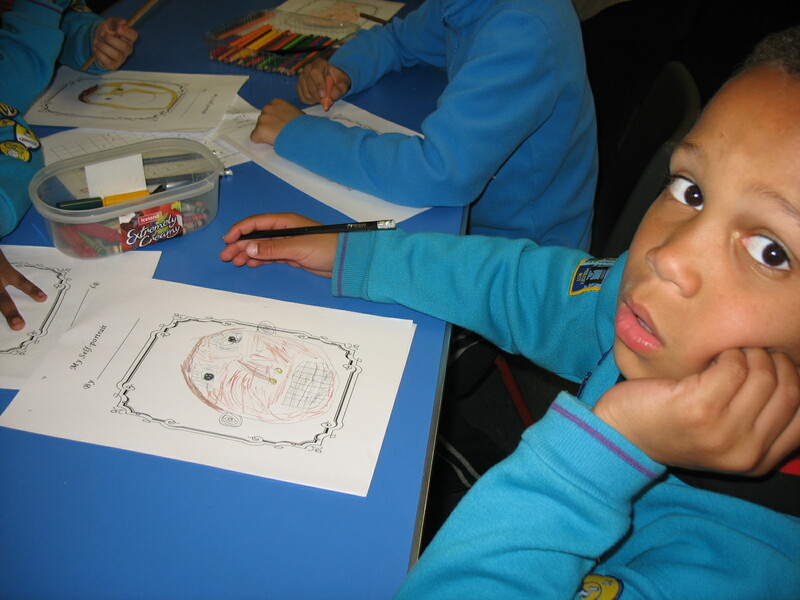 Don’t forget that there is no meeting next week since it is half term. 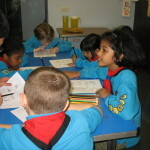 The next meeting will be on Friday 6 June. 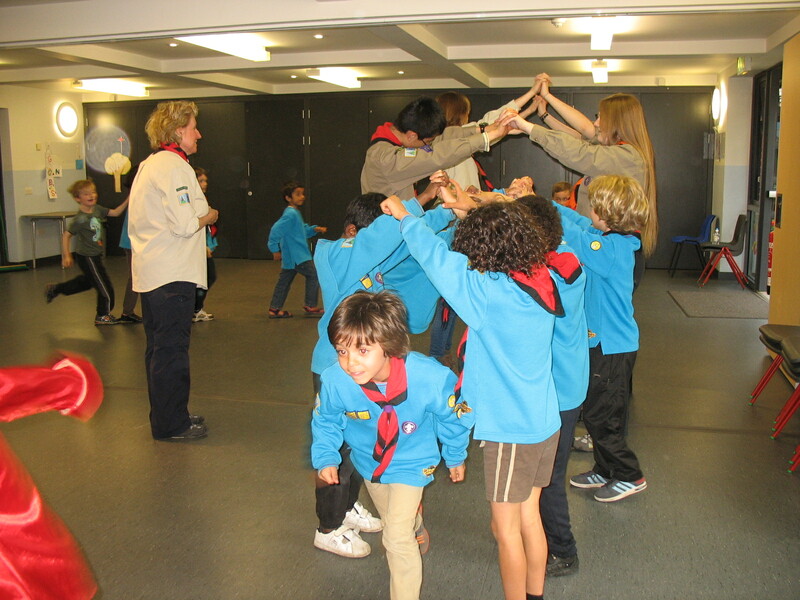 Our meeting this week started with a ‘moving up’ ceremony where we said goodbye to Haris and Amie as they moved to our Cub section. 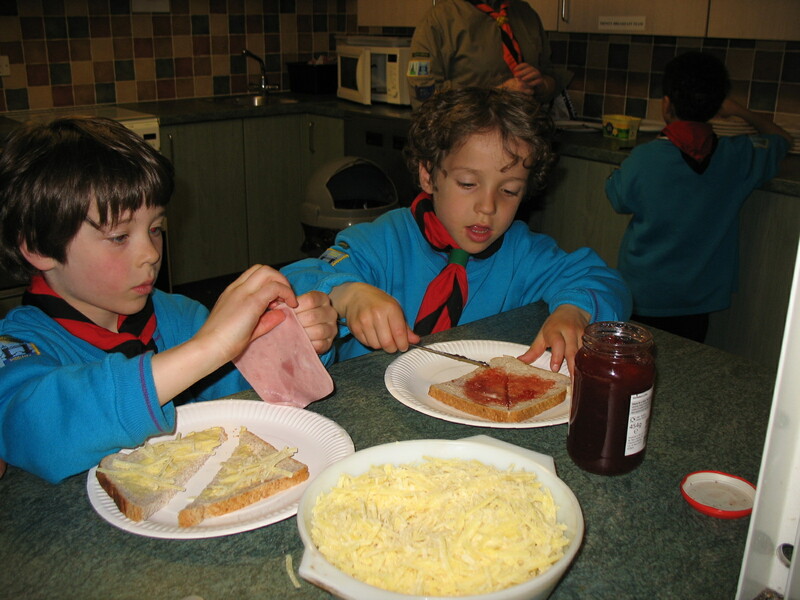 We will miss them, but know that they will enjoy the new challenges of Cubs. 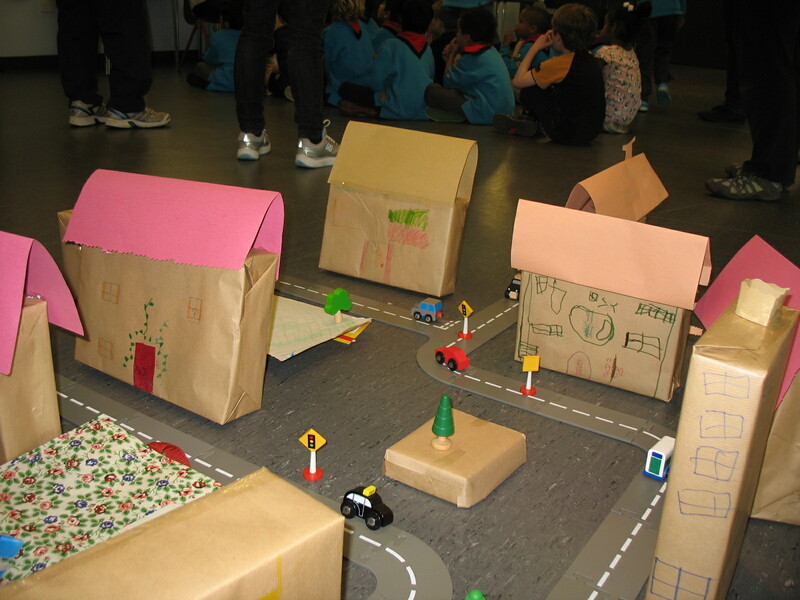 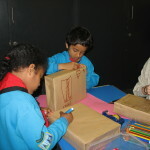 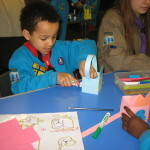 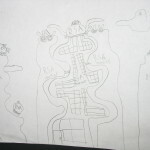 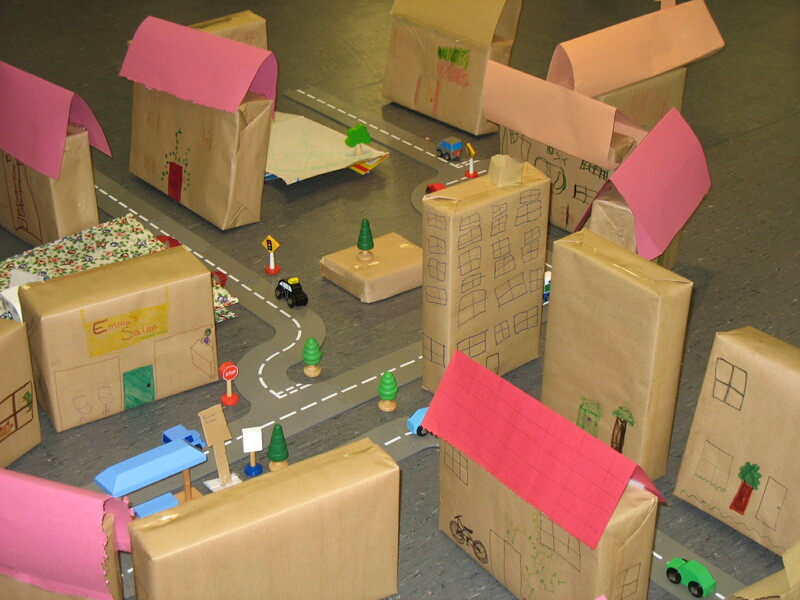 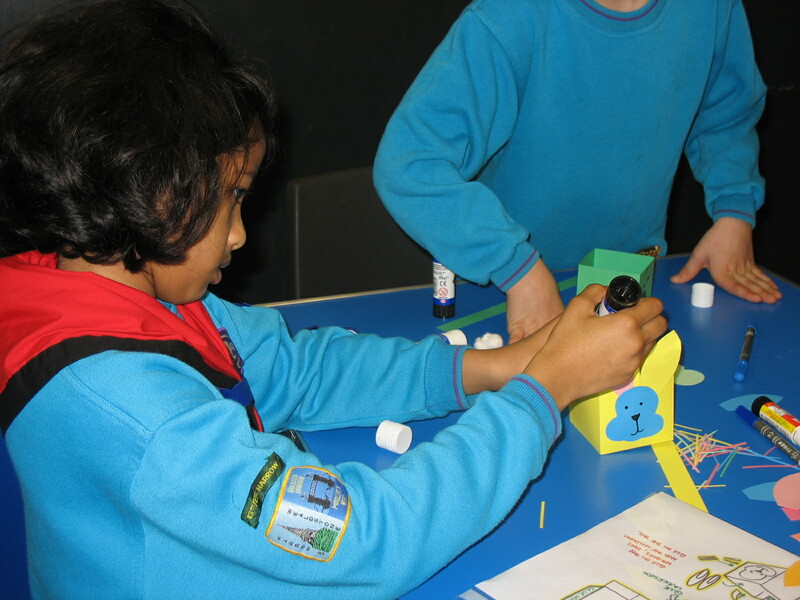 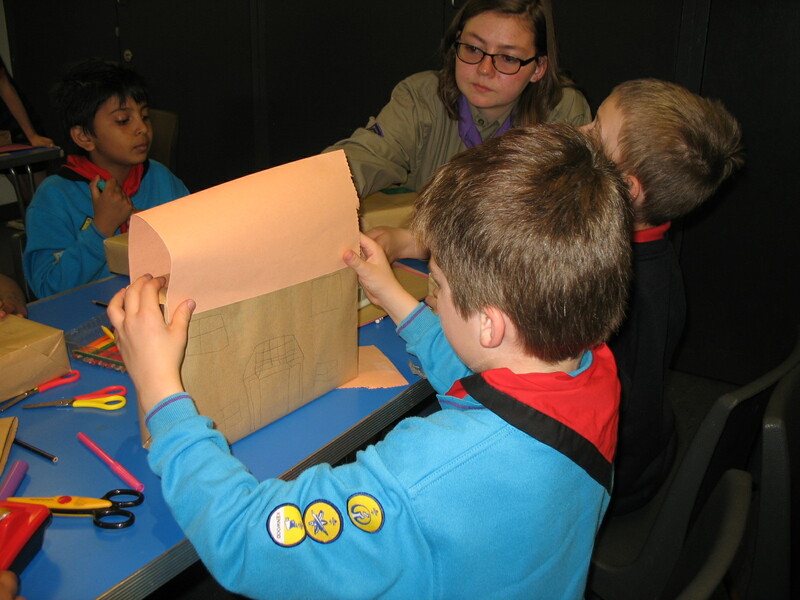 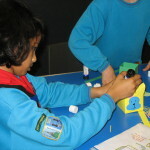 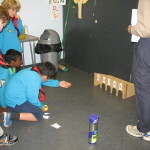 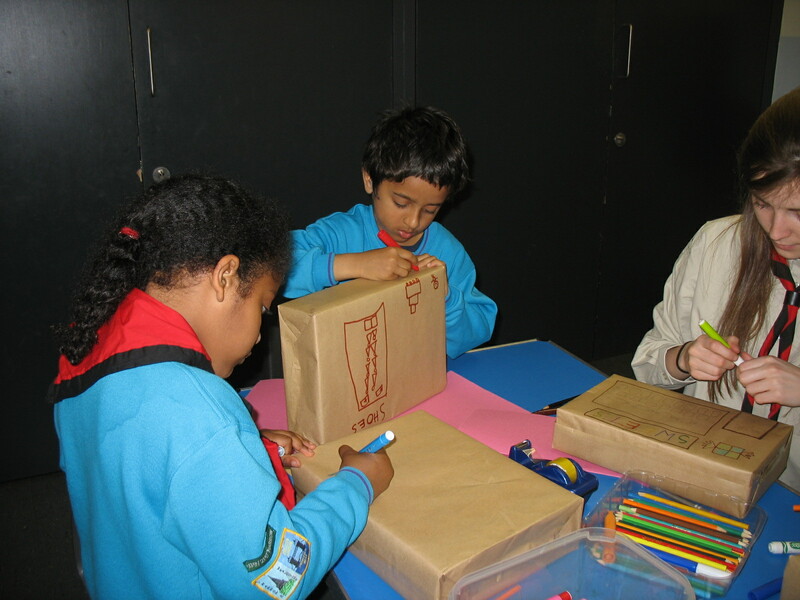 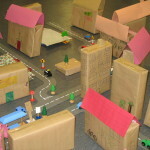 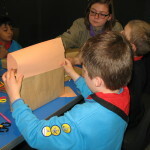 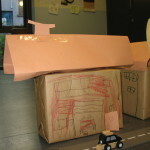 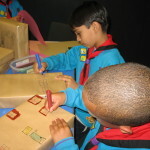 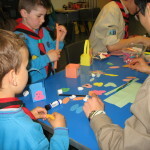 The Beavers then continued work on their Imagination badge, this time creating a model village out of old cereal boxes. 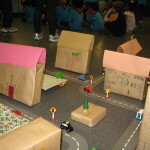 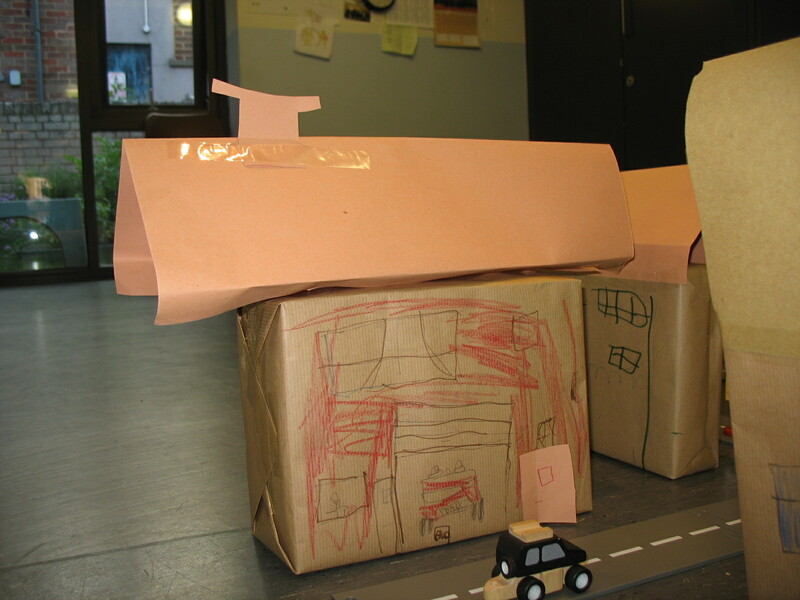 They created some shops, houses, flats and even a fire station. 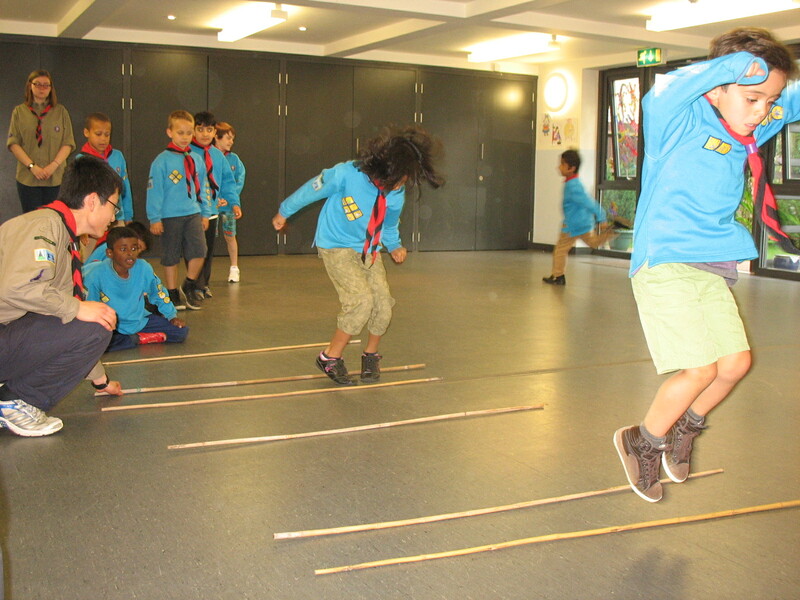 The evening finished off with some relay games. 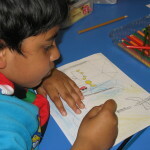 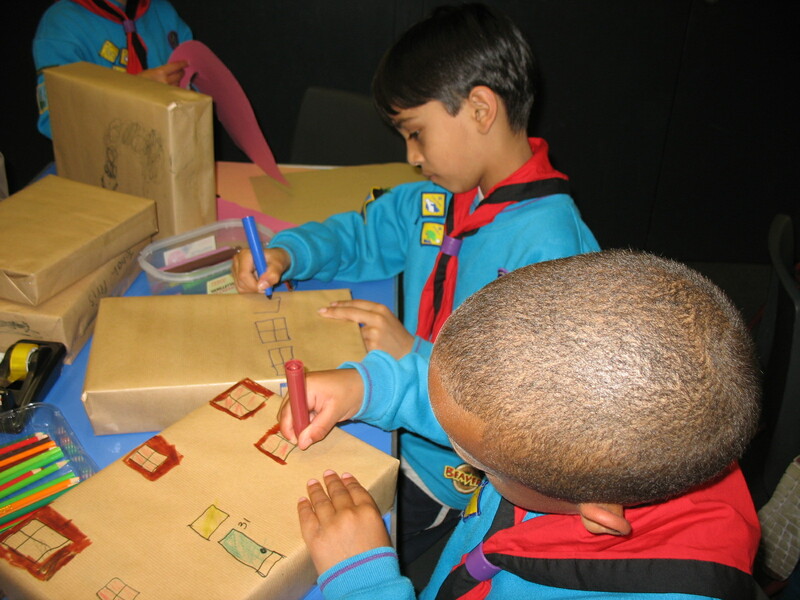 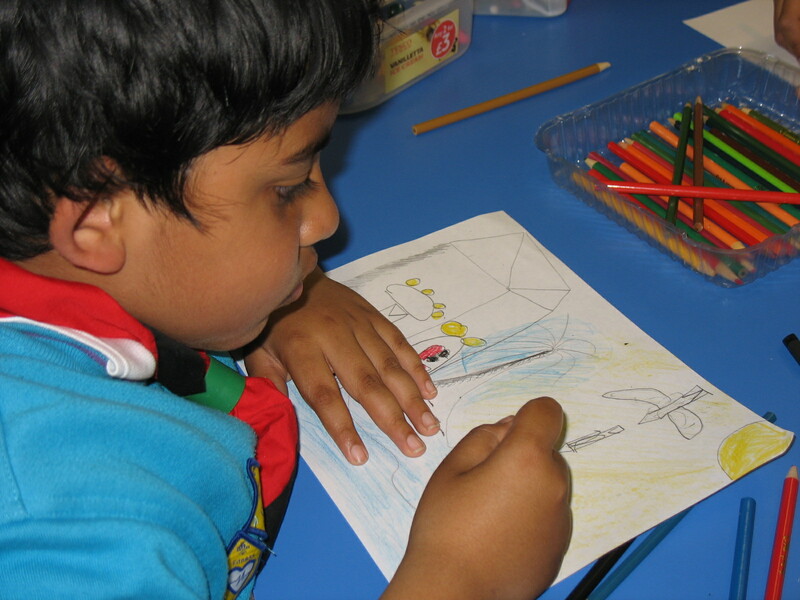 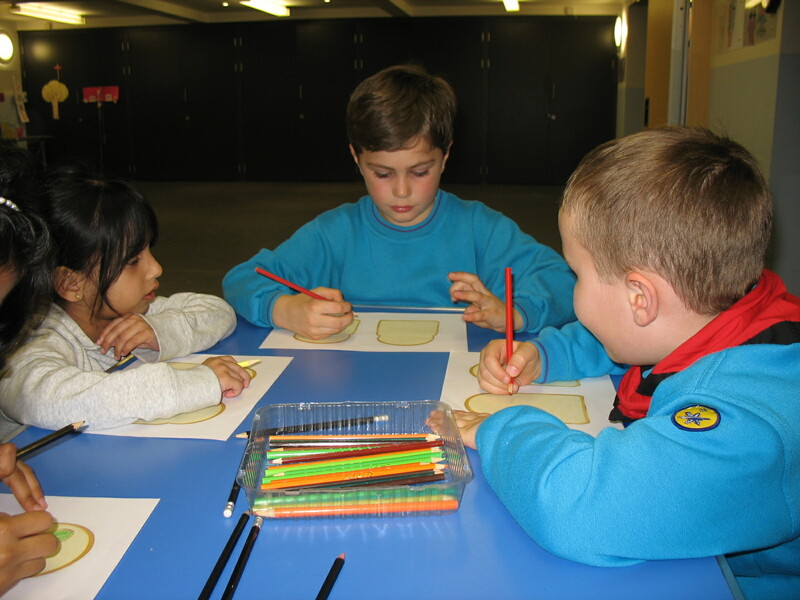 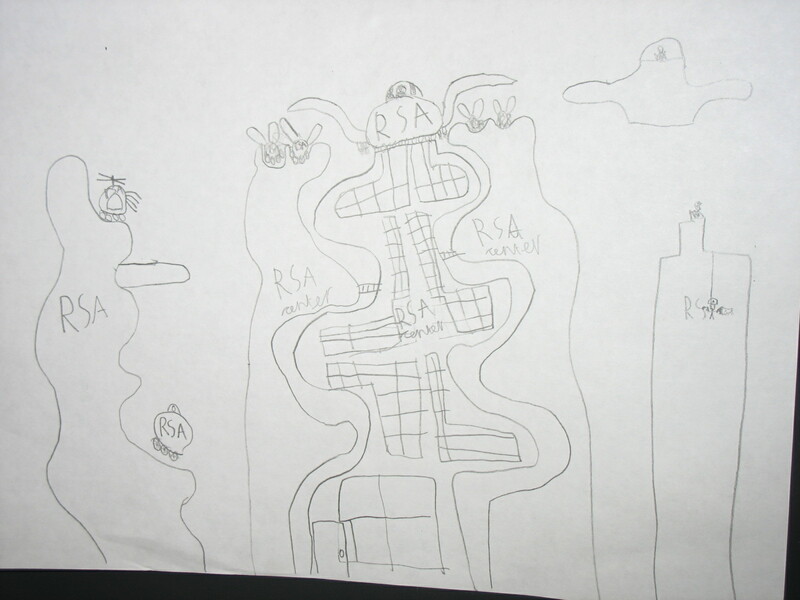 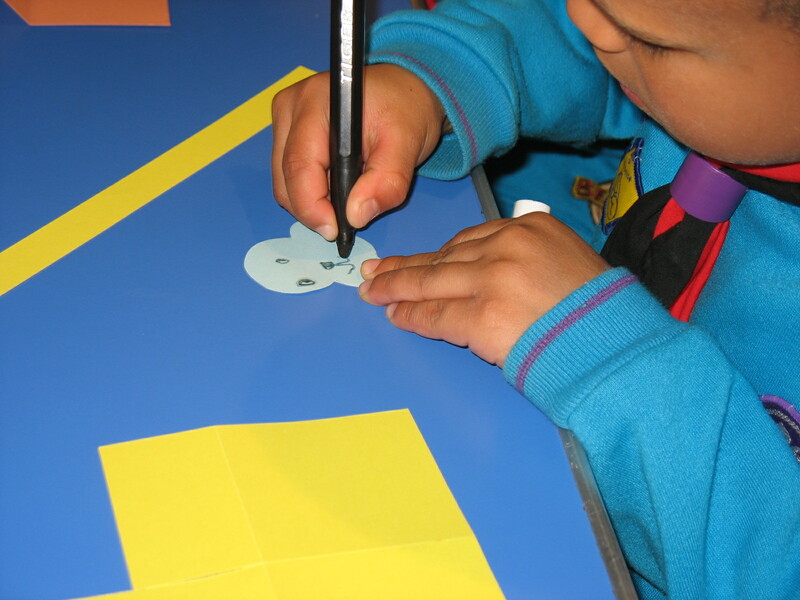 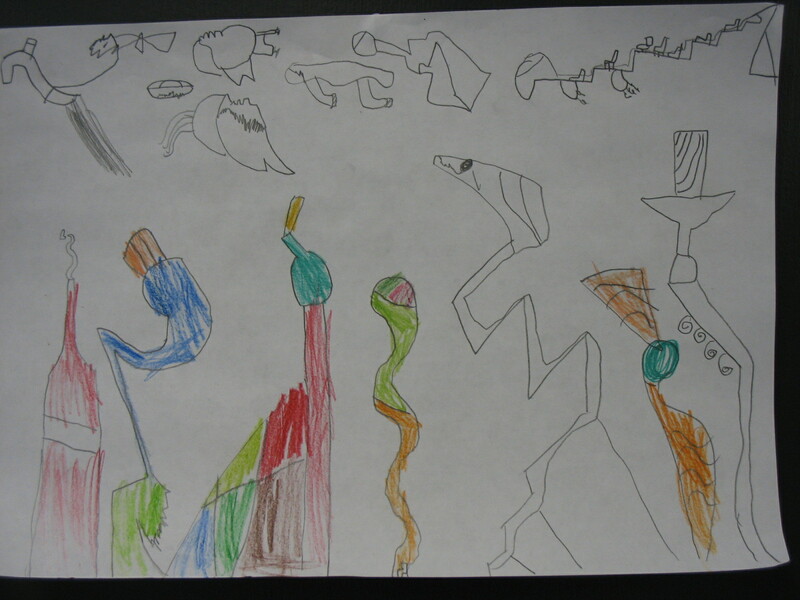 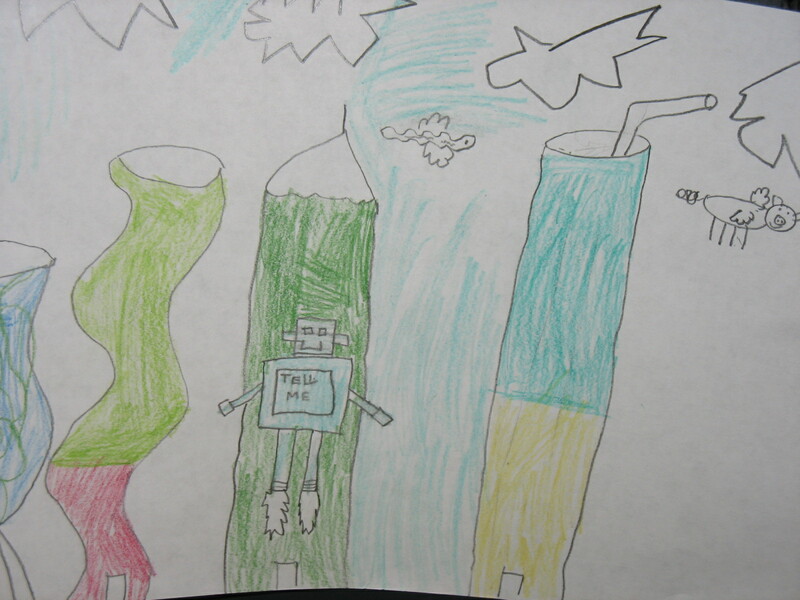 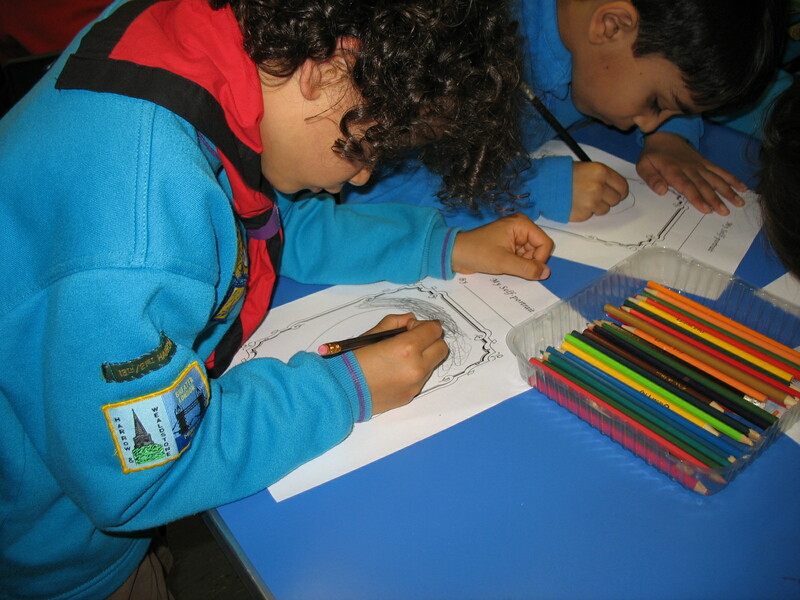 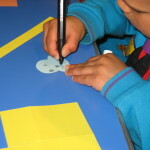 This week the Beavers continued their work on the Imagination badge by drawing a picture showing what they thought things would look like in the future. 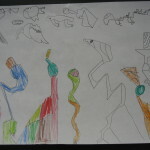 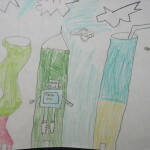 They produced very imaginative pictures of fantasy clothes, amazing flying machines, clever robots and even cities made of fruit! 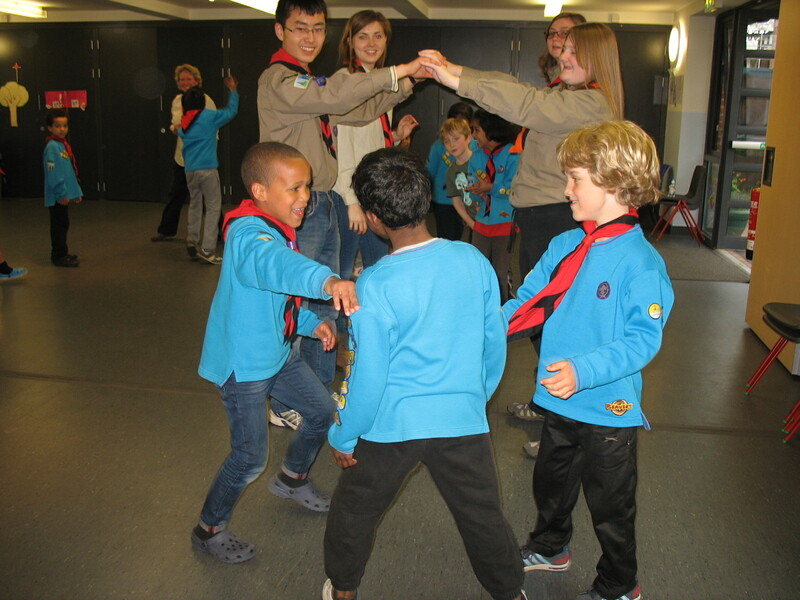 Tonight was also a special night for Sarah and Theo as they officially enrolled in the 13th/21st Beaver Colony, we hope that they will enjoy their time with us. 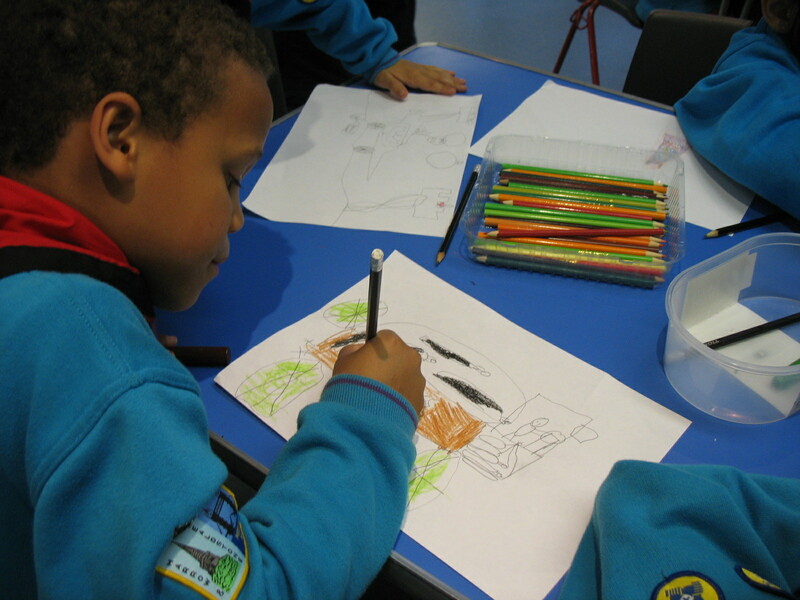 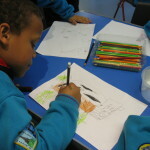 This term the Beavers are working for their Imagination badge and to get them in a creative mood our first meeting of term looked at art. 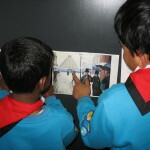 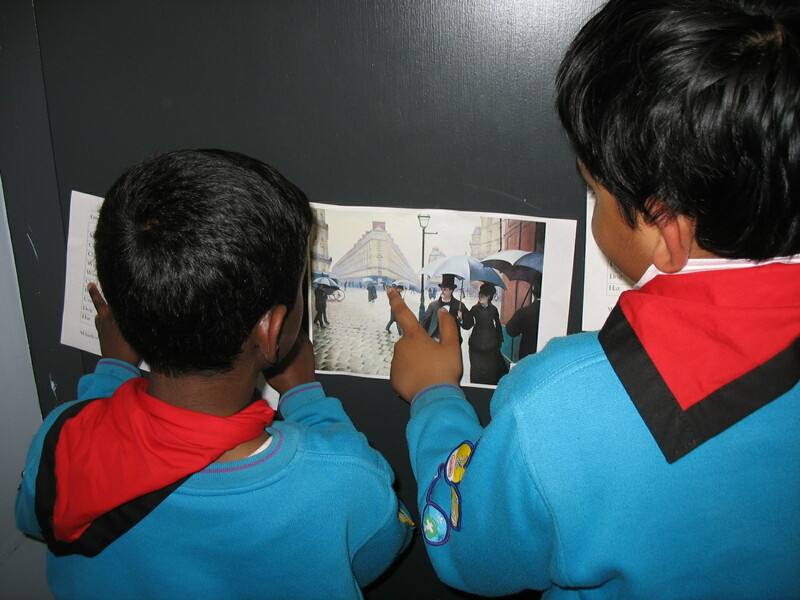 First of all the Beavers took on the role of ‘art detectives’ looking for various objects in famous paintings. 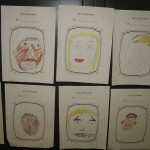 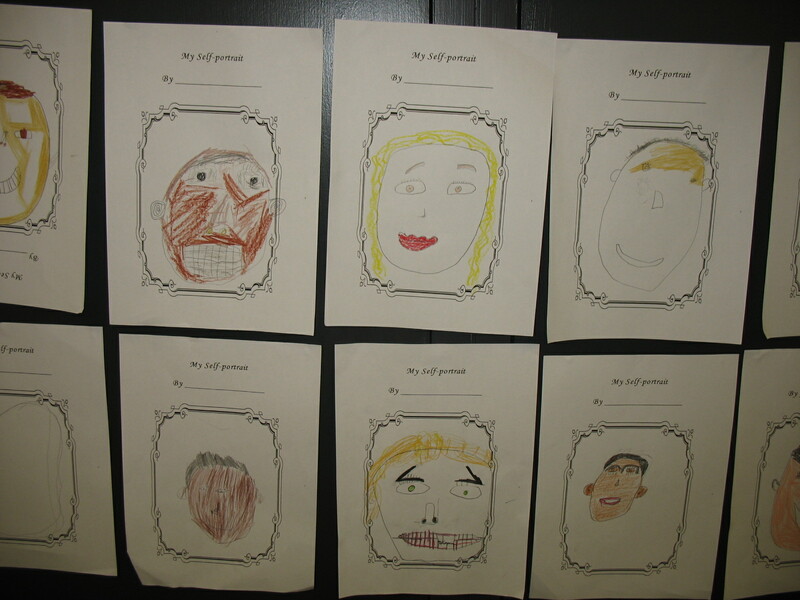 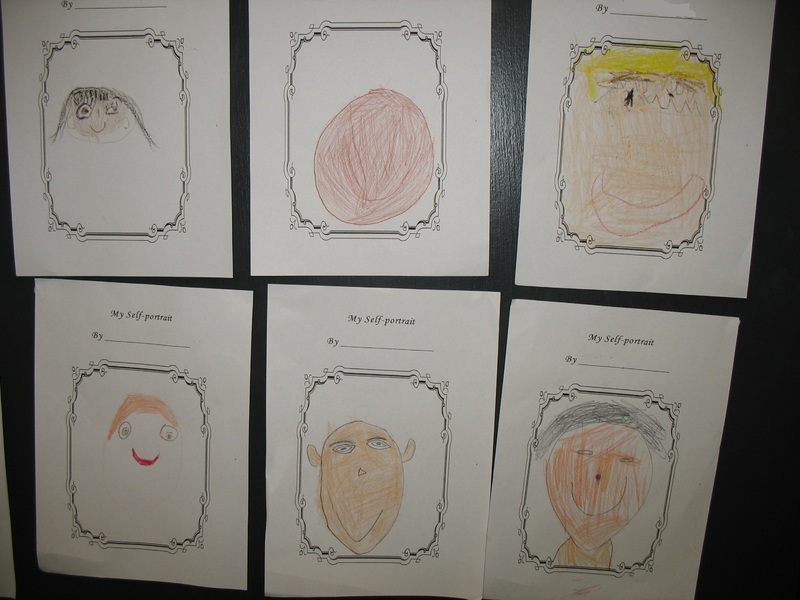 They were then set the challenge of creating a self portrait using crayons and pencils, some of the results were remarkably accurate. 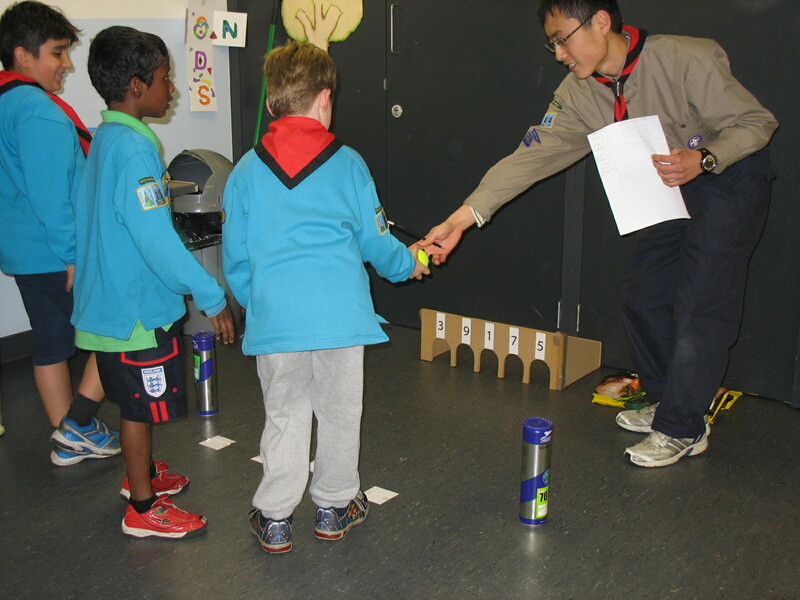 The evening was rounded off with a game of Captain’s Coming. 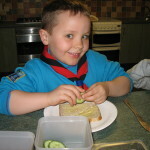 Just a quick reminder that summer subs are now due. 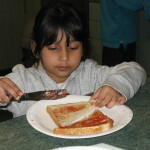 Many thanks to those parents who have already paid. 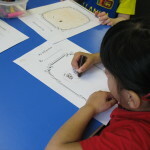 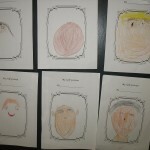 This week the Beavers learned about Easter. 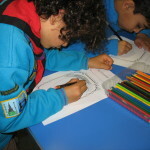 They talked about the Easter story and its importance to Christians as well as discovering some fun facts about chocolate eggs. 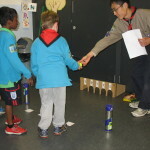 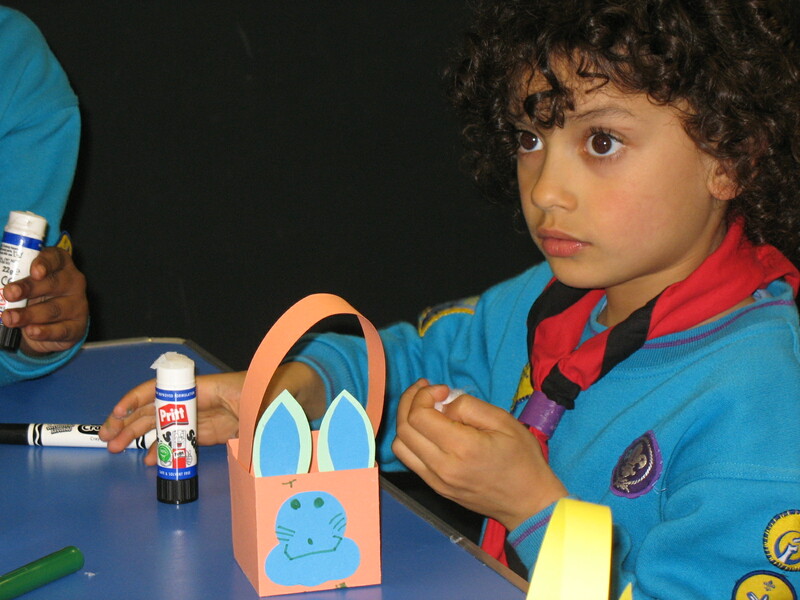 The Beavers also made Easter Bunny baskets and took part in a hectic Easter egg hunt. 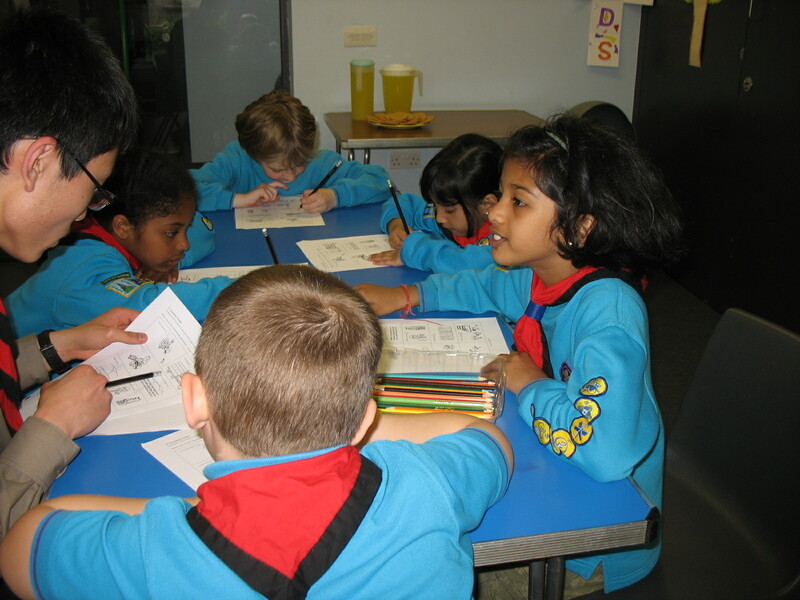 There are no Beaver meetings for the next three weeks, the first meeting of the summer term will be on Friday 2 May. 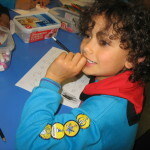 Beaver Day Camp is on Saturday 26th April 10:45 am to 7:15 pm, we look forward to seeing all of those who have signed up. 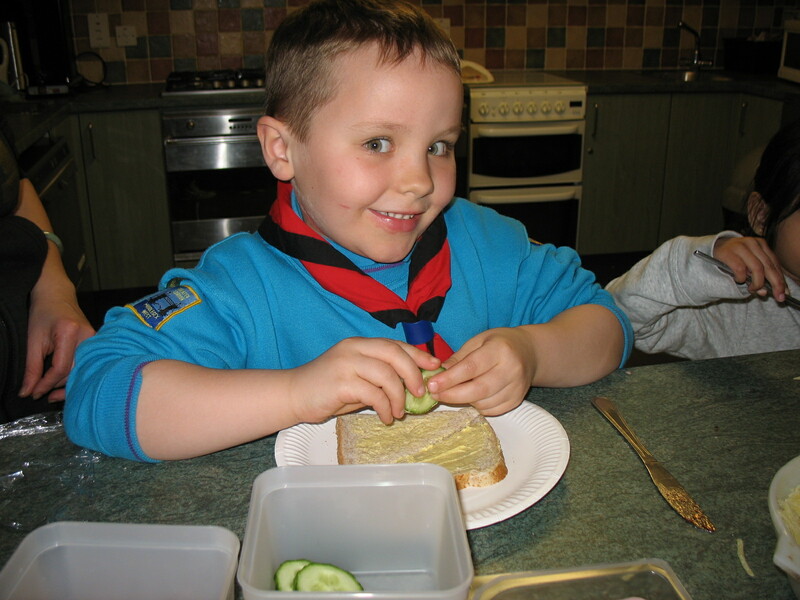 This week was our final week of the Healthy Eating badge and so the Beavers celebrated by making real and imaginary sandwiches. 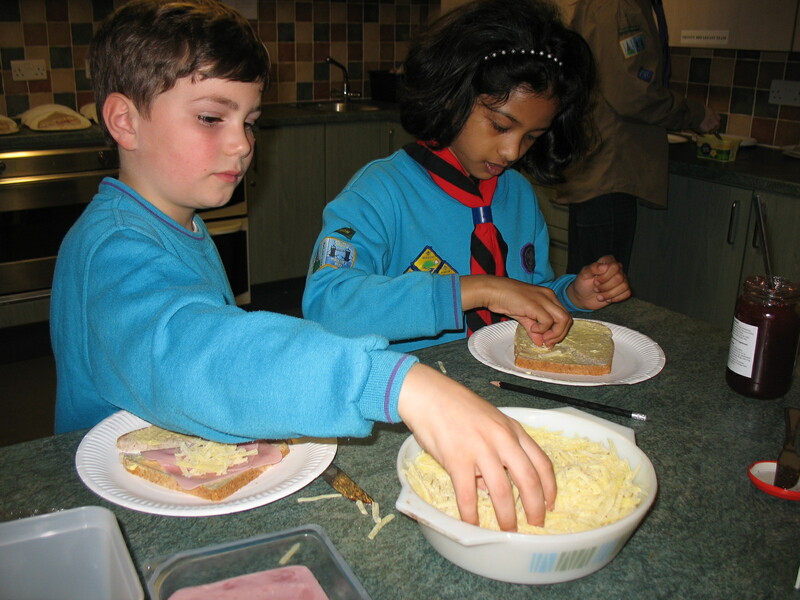 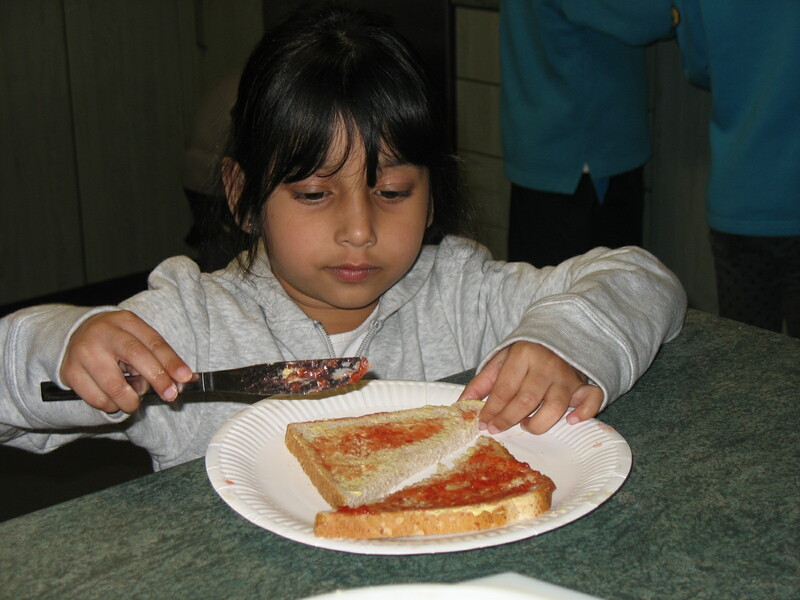 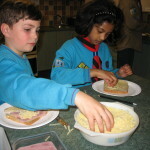 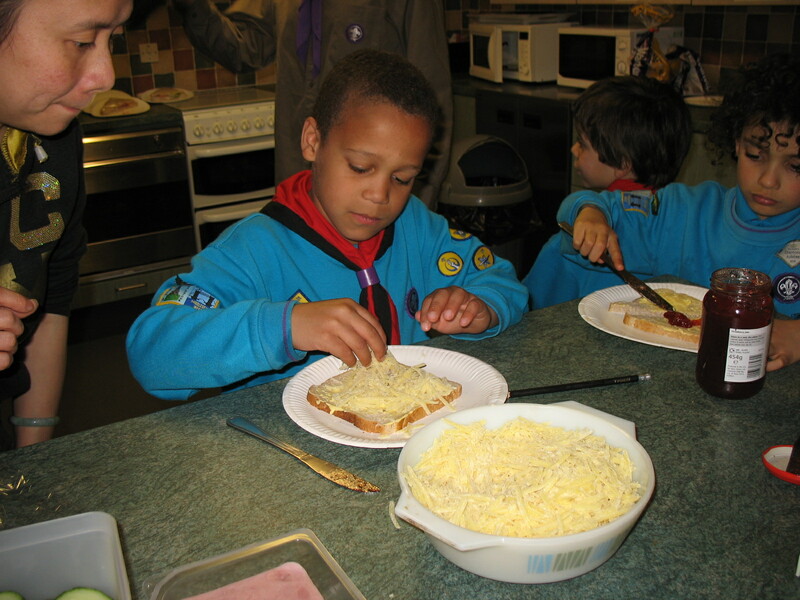 Everyone had the chance to create one nice and one nasty sandwich using coloured pencils and crayons as well as making a real sandwich with a variety of ingredients. 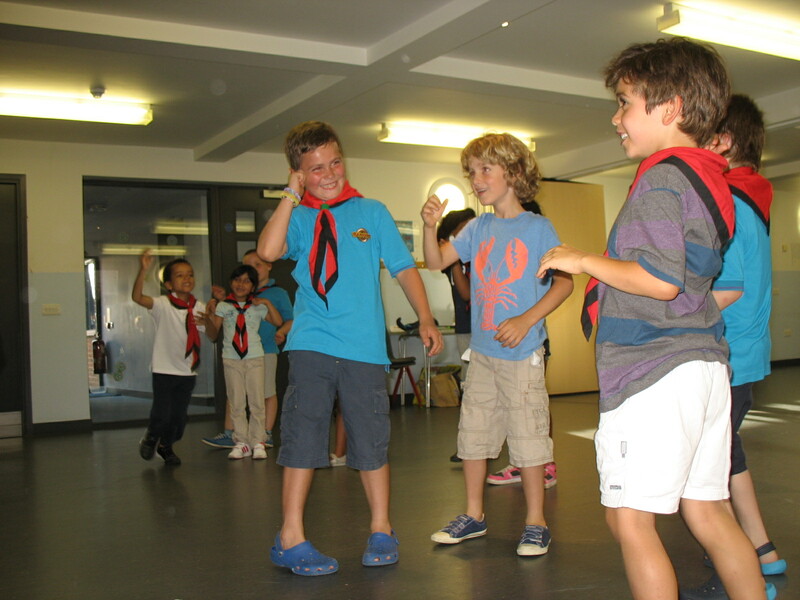 The evening finished with a game of ‘Captain’s Coming’. 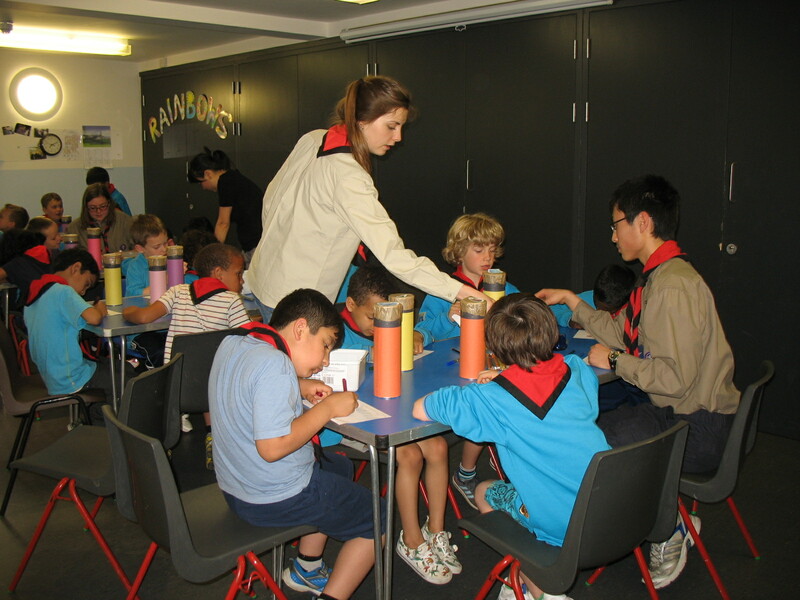 Don’t forget the Mothers’ Day church service at St John’s Church in Harrow (opposite Debenhams) Beavers should arrive at 9.15am.